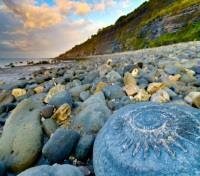 Take a guided fossil walk along Dorset’s Jurassic Coast. 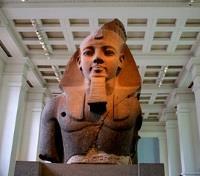 Visit the British Museum in private with an Egyptologist. Go behind the scenes at Oxford’s famed Ashmolean Museum. 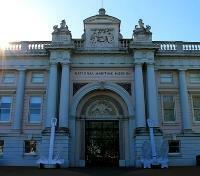 Explore the National Maritime Museum in Greenwich on a private tour. For a kingdom that shaped the world, England comes from humble roots. Its rocky coasts and rolling moorlands betray the passage of Mesozoic sea creatures, prehistoric civilizations, and Roman armies. Perhaps it’s that sense of living among history that inspired so many scientists and historians to set forth from here and return, armed with natural and human-made treasures, to found some of the world’s greatest museums. This Explorers Club tour connects you to both sides of that heritage; exploring the region’s regal past and artifacts from faraway lands that shaped the modern social sciences. It begins at London’s British Museum with a private tour of its fascinating collection of Egyptian artifacts under the guidance of an Egyptologist, followed by a private tour of Portsmouth’s National Maritime Museum in the company of a curator. The nautical theme continues the next day at the historic dockyard with private tour of the Mary Rose — a restored 17th-century Tudor warship recovered from the sea floor — with a conservation expert. The next day begins at dawn in the shadow of Stonehenge, England’s mysterious prehistoric monoument, for a private tour with exclusive access to the site’s Inner Circle, followed by a visit to the Roman ruins of Bath, home to UNESCO-protected archaeological sites and hot springs that once soothed the weary muscles of Roman soldiers. Onward to Oxford and a day devoted to the contributions of Elias Ashmole, England’s preeminent antiquarian. Tour the Ashmolean Museum and see the artifacts and curiosities Ashmole collected on his travels throughout the world in the 17th century. Next, explore the Bodleian Library, home to a staggering collection of manuscripts and documents, including copies of the Magna Carta, a Gutenberg Bible, Ashmole’s illuminated Bestiary and Shakespeare’s First Folio. Next stop, Blenheim Palace, birthplace of Sir Winston Churchill, where you’ll get an insider’s glimpse of this UNESCO-protected manor house on an exclusive private guided tour. From there, it’s on to Highclere Castle, where George Herbert, 5th Earl of Carnarvon, first displayed the spoils of his expedition to find the tomb of Tutankhamun. The tour strikes a regal note back in London where you’ll be treated to a private tour of the infamous Tower of London, led by a Yeoman Warder, and get to see the sparkling Crown Jewels up close before going “behind the ropes” for a private tour of Windsor Palace. 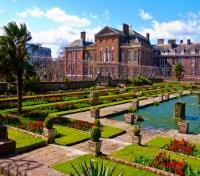 Your final stop: Kensington Palace for a privately guided tour of the official residence of the Duke and Duchess of Cambridge, more affectionately known as Will and Kate. For your added comfort, a Meet & Greet assistant will be waiting for you in the Arrivals Hall of the airport after you pass through customs. They'll direct you to your transfer, assist in the hotel check-in process, and take you through your travel documents. With over a hundred years of passion for hospitality and commitment to service, The Goring Hotel stands as London’s last family-owned luxury hotel. It is a luxurious five star residence, ideally located adjacent to Buckingham Palace and within walking distance of the Royal Parks, London's principal shopping areas and the heart of the West End and Theatreland. The Houses of Parliament and Westminster are close by, and Victoria Station is only a few minutes away with a high-speed direct train link to the Gatwick Airport. Every bedroom is individually designed and radiates refined English design. 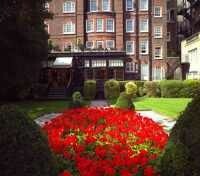 The Goring is affectionately known as a “Baby Grand”. It is the finest of traditional hotels in the perfect location but with the most intimate of atmospheres and personalized attention. The Dining Room is a much admired establishment creating colorful and flavorsome dishes attracting guests from far and beyond. 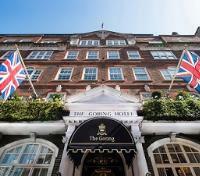 With over 100 years of exceptional service behind it, The Goring remains a favorite address and hidden gem for anyone seeking out that Quintessentially English Luxury Hotel in center of London. Enjoy a full day of service with a private guide and vehicle at your disposal (maximum 9 hours). This provides flexibility in your day and gives you an opportunity to see and do as many things as you'd like within the allotted period. Please note, an additional fee applies for time overages. 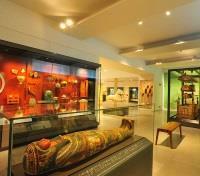 Today you’ll visit the British Museum with a private Egyptology specialist as your guide. With the Egyptian Collection being one of the most exceptional in the museum, you’ll follow your guide through the rooms to see a carefully chosen selection of ancient and medieval exhibits. Experience culture and art through the ages and be amazed by the world of ancient Egypt through monumental stone sculpture, including the colossal statue of Ramesses II, the Rosetta Stone, a 5,000-year-old sand-dried mummy, wall paintings from Nebamun’s tomb, and more. Learn about the customs, beliefs and the daily lives of the Ancient Egyptians, and see ancient art and artifacts bring history to life before your eyes. Accompanied by a Curator of the National Maritime Museum, you’ll be taken on an brief, yet exclusive tour through the world’s largest maritime museum. Narrating the long, briny and eventful history of seafaring Britain, the Curator will help you unravel the secrets of Britain’s rich, 500-year maritime history. Stroll around and spend time viewing the various ship models and plans, manuscripts & navigational instruments, maritime art and a ship simulator and interactive exhibits. Learn about iconic vessels like the HMS Victory and the Royal Navy fleets, and marvel over highlights like Turner's Battle of Trafalgar painting, and the Trade Gallery. Aye aye, Captain. 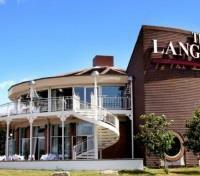 Situated on the northern shore of Hayling Island, and 8 just miles from downtown Portsmouth, the Langstone Hotel gives guests the best of both worlds – serenity and access. With 148 beautifully decorated modern guestrooms, and a 2 AA Rosette award winning restaurant offering al fresco dining on the terrace, come relax and enjoy the beautiful surroundings of the Langstone Hotel, overlooking picturesque Langstone and Chichester Harbors. Enjoy a special tour with one of the three Directors of the Mary Rose Museum at the Portsmouth Historic Dockyard, situated within a working Naval Base. The boat-shaped museum is dedicated to the remains of the 500 year-old HMS Mary Rose, a relic from King Henry VIII’s English Tudor Navy which was raised in 1982 for preservation in Portsmouth. See the preserved timbers of the ship's massive hull, and view the tiered galleries that reconstruct life on each deck, using some of the 19,000 artifacts that were raised with her. 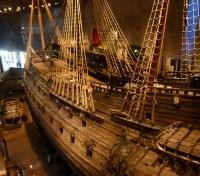 Watch as 500 years of history come to life before your eyes. Lyme Regis is famous for its geology, fossils and its unique role in the birth of the earth sciences. Today you’ll have an exclusive experience with geologist Richard Edmonds, earth science manager for the UNESCO World Heritage Site of Jurassic Coast. He’ll lead you through a 3-hour walk along the famous coastline that yielded a range of spectacular fossils, including giant marine reptiles, intricate crinoids, ammonites and even dinosaur remains. Set out through the rocky and uneven beach terrain of Charmouth or Monmouth (weather dependent) and learn of nature's relationship between geology and wildlife. The brainchild of amateur paleontologist and avid collector Steve Etches, the Museum of Jurassic Marine Life holds an extensive collection of Etches' fossils. 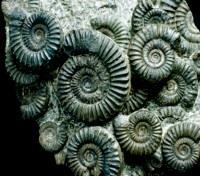 Today you will get a chance to observe the fabulous fossil collection, led by Steve Etches himself! Steve, a local Kimmeridge fossil collector and expert, has discovered, collected and researched over 2,000 incredible late Jurassic Kimmeridgian specimens, over the last 30 years. Get the most out of this experience, with explanation from the enthusiast himself, as you marvel at the extensive collection of fossilized specimens in the immersive museum setting. The Summer Lodge Country House Hotel & Spa by Relais and Chateaux is set in a historic Georgian manor house on four acres of beautifully tended gardens in the heart of Thomas Hardy’s Dorset. Savor delicious cuisine in the 3-AA Rosette restaurant, select wines from an extensive cellar with an award-winning sommelier, relax in the large conservatory-style swimming pool, unwind in the serene spa, and enjoy beautifully appointed guest bedrooms, suites and cottages designed with total comfort and style in mind. 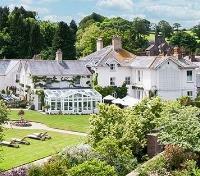 Voted #2 in the Top Hotels in the UK by Condé Nast Traveler Readers’ Choice Awards, guests can rest assured that every stay at the 24-room and suite Summer Lodge Country House is one that is remembered. Enjoy a full day of service with a private guide and vehicle at your disposal (maximum 12 hours). This provides flexibility in your day and gives you an opportunity to see and do as many things as you'd like within the allotted period. Please note, an additional fee applies for time overages. 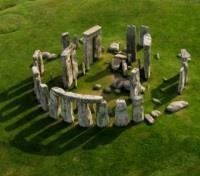 With your guide, you'll have exclusive early bird group access to the inner stone circle of Stonehenge, of one of the most mysterious sites on the planet. A UNESCO World Heritage Site, and cultural icon of Britain, Stonehenge has dazzled historians, archaeologists and visitors alike for years. Gaze at the monument from a unique inside perspective and listen to fascinating stories that detail the mysteries surrounding the landscape. Be one of a rare few to walk inside the UNESCO-listed prehistoric stone circle and get an up-close view of the iconic bluestones and trilithons. Take in its majesty and decide for yourself whether it was a place of sun worship, a healing sanctuary, a sacred burial site, or something different altogether! Meet your private guide and depart on a half-day walking tour, discovering the best of Bath’s splendid Georgian architecture, its vibrant modern culture, and learning of its ancient Roman heritage. Admire landmarks like Bath Abbey, a stunning Gothic church with history dating back to the 7th century. Stroll past the subterranean Roman Baths complex, and locate its street-level pump room. 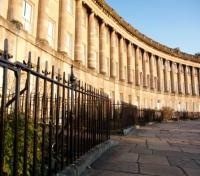 Marvel at the magnificent 18th century architecture of Royal Crescent, with a uniform Georgian façade designed by John Wood, the Younger, and view the early Georgian townhouses of The Circus, designed by his father - John Wood, the Elder. Unravel pomp and luxury on this walking tour through picturesque Bath. Your included admission to the Roman Baths and Temple complex provides you with access to four main features: the near 2,000-year-old remains of the Temple of Aquae Sulis, the Roman bath house, the Sacred Spring (the only hot spring in Britain), and a well-presented museum of artifacts found at the site. The Roman Baths are situated below street level of modern Bath, and other Roman ruins stretch out beneath the city in all directions. Did You Know? : In 2012, a hoard of 30,000 silver Roman coins from 300 BC was excavated near the complex in an archaeological dig. 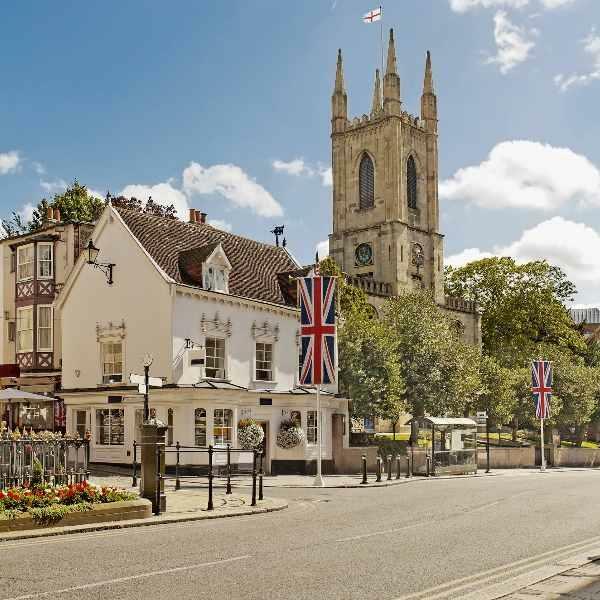 Set in Woodstock, in the heart of Oxfordshire’s beautiful countryside, the Macdonald Bear Hotel offers a beautiful slice of refined living just a mile from magnificent Blenheim Palace. 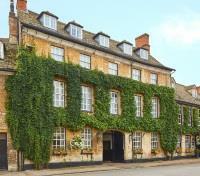 Occupying what was once a 13th century coaching inn, the Macdonald Bear Hotel features 54 individually-styled guestrooms behind its ivy-clad facade, each with traditional décor and modern accents. With oak beams, open fireplaces and stone walls, the hotel exudes warmth and coziness - perfect for an escape to good old-fashioned hospitality. Your admission to the Ashmolean Museum today grants you access to the oldest public museum in the world, founded in 1683. As the University of Oxford’s museum of art and archaeology, it has an incredibly rich array of collections from around the globe, ranging from Egyptian mummies and classical sculpture to the Pre-Raphaelites and modern art. You'll receive an exclusive private tour from a collection specialist of the museum today. 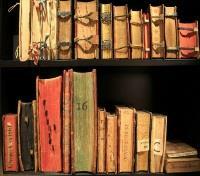 The artifacts at the museum provide a variety of stories ranging across various cultures and periods of time. The Ashmolean’s collections are extraordinarily diverse, representing most of the world’s great civilizations, with objects dating from 8000 BC to the present day. Set out on foot with a knowledgeable local guide to Oxford's Bodleian Library for a private tour of one of the oldest and most impressive public libraries in the world. Established in 1602, the library started off with just 20 books, while it now holds more than 12 million items, contains 117 miles of shelving and has seating space for up to 2,500 readers. A staggering 5,000 books and articles arrive every Wednesday, all of which need to be cataloged and stored. It’s truly an impressive space to behold. You'll have approximately 2 hours in the library, followed by a brief guided walk within Oxford, discovering some of this splendid university city, known as the City of Dreaming Spires. 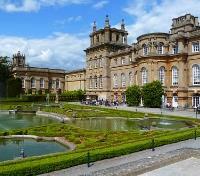 Visit Blenheim Palace, a UNESCO-listed Baroque manor house where Sir Winston Churchill was born. Enjoy an exclusive private guided tour and delve into the history of the 18th-century manor house, getting up close to priceless works of art and tapestries as you explore the opulent chamber. Hear details about life in the Palace, delivered in a most engaging way as you wander through the network of corridors within, and wander the remarkable gardens and park. Enjoy admission to Highclere Castle today, visiting the imposing 17th century country house, finished in Jacobethan style. 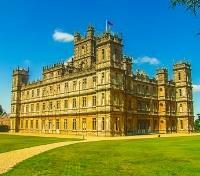 Highclere recently gained notoriety for its use as a filming location in the renowned period drama Downton Abbey. Seat of the Earl of Caernarvon, Highclere Castle has been linked with historic significance over the centuries, with the 4th Earl having drafted the British North America Act of 1867 which lead to the founding of Canada, as well as the 5th Earl returning home with a mesmerizing assortment of Egyptian artifacts, after accompanying archaeologist Howard Carter during the 1922 discovery of Tutankhamun’s tomb in the Valley of the Kings. Enjoy a full day of service with a private driver and vehicle at your disposal (maximum 12 hours). This provides flexibility in your time and gives you an opportunity to see and do as many things as you'd like within the allotted period. 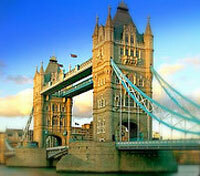 Please note, an additional fee applies for time overages, or travel outside of London. From medieval torture to grim executions and infamous royal prisoners, the Tower of London has long found itself at the center of the city's dark history. Despite its chilling reputation, the Tower has also been the cradle for the British Crown Jewels since the 14th century. Today you will enjoy an exclusive, privately guided tour of the iconic Tower of London accompanied by a uniformed Yeoman Warder, who rarely operate tours on a private basis. Often referred to as a Beefeater, these former officers of the armed forces have been historically responsible for looking after any prisoners in the Tower, and safeguarding the Crown Jewels. Marvel at the glittering Crown Jewels and coronation regalia, the ultimate symbol of the British monarchy and the centerpiece of coronations since 1661. 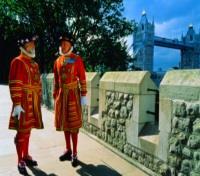 Roam the ramparts with the famous Beefeaters who still protect the tower. Following the guided visit, the Tower will be fully open to explore at leisure. 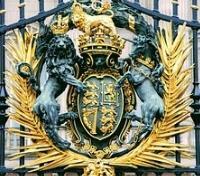 With a private guide, set out on an exclusive 3-hour walking tour to gain insight into the origins and operations of a selection of prestigious British brands that have been granted Royal Warrants. A Royal Warrant, as assigned by senior members of the Royal Family, is an emblem of approval given only to brands deemed worthy as preferred suppliers to the Royal Family, and therefore carries with it an automatic status of prestige and respect. Visit some of Britain’s luxury retailers like Berry Bros & Rudd, Albert Amor Ltd, Lock & Co Hatters, J.J Fox Cigars and Gieves & Hawkes, as you get a glimpse of the commitment to the highest standards of service and excellence required in order to be awarded a Royal Warrant. Please note, stores visited my vary depending on availability at the time of travel. Rarely experienced in private, delve into the history of the British Royal Family on an exclusive 'behind-the-ropes' tour of Windsor Castle, with a private guide dedicated just to you. Originally built by William the Conqueror in the 11th century, it’s still used by Her Majesty Queen Elizabeth II as a weekend residence and for State ceremonies. Stroll around the opulent chambers of the State Apartments, many adorned with paintings by Rembrandt and Canaletto, and learn of how they've been home to numerous monarchs through history. See other highlights and be sure to visit the castle's St George’s Chapel, an echoing Gothic masterpiece that holds the tombs of 10 English monarchs, including the infamous Henry VIII. Enjoy an included glass of Champagne to end your tour. Enjoy a half day of service with a private guide and vehicle at your disposal (maximum 4 hours). This provides flexibility in your time and gives you an opportunity to see and do as many things as you'd like within the allotted period. Please note, an additional fee applies for time overages. Your exclusive experience at the 17th century royal residence Kensington Palace will start at The Orangery, sipping on some specialty teas and tucking into handmade cakes and pastries. You’ll then meet up with your private guide to learn the intimate history of Queen Victoria at the fascinating ‘Victoria Revealed’ exhibition – set within her own room, adorned with personal objects. Victoria’s 63-year reign was longer than any of her predecessors, and the Victorian era was characterized by refined sensibilities, expansion of the British Empire, great industrialization, and relative peace among the great world powers. Inspired by the Queen's journals, and featuring displays of personal objects in the rooms where she once lived, the exhibition gives an intimate account of Victoria's extraordinary life. After the Victoria Revealed tour, you are welcome to explore the State Apartments and the extensive dress collection at the palace.